The seas, the greatness, the temples and the villages; everything are waiting for you to call on. God has blessed India with an outstanding architecture, cultural, ancient heritage, rich wildlife, along with marvellous cuisine. Our colourful India has numerous places to visit which will make your day. So spend your holiday in a new environment with top India Tour Company. We love to do and help you to experience the best Indian Holidays. Most of us love to visit and learn something new every day. 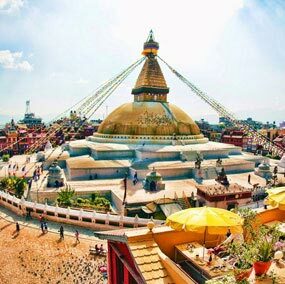 If you are one of curious people and are ready to explore to all over India and experience the beauty with your naked eye then visit the best inbound India tour agency – Colourful Indian Holidays. We will help you to make your dream come true to visit your desired Indian destinations in cheap. Make unforgettable memories and understand the desire of your family members and loved ones that they too want some holiday from their busy schedule. Colourful Indian Holidays is always there to fulfil your desire regarding India tour. Make memories and visit our country again. Hotels we stayed in were absolutely beautiful and staff couldn't do enough to help you. We would rate the Marriot in Jaipur as our favourite. Driver was quiet and kind and always on time. Guides were informed on their cities and adaptable to your preferences and changes. India itself is an absolutely amazing country and I'd recommend you do visit at least once in your life! Madawa was also a worthwhile stop an well-worth the drive. We were super worried at first because one of us has been to India before & she knows the chaos in Delhi & the stations in Agra. Thanks God we found Narendra & his team @Colourful India Holidays. We had a full 2-day trip to Taj & Jaipur without battling ourselves through the killing heat of Indian summer. Thank you Narendra. Pls also say thanks to your wife & the kids, we do enjoy the homey dinner. Great experience in super hot Delhi, where we got the excellent service from Colourful Indian Holidays. Narendra is very helpful guy as well. We promise you to give the happiness of travelling and to discover the hidden culture and beauty of many other places in India at the best price with our India Tour Packages. We believe to give an excellent service to our customers than any other Indian tour companies. We will make sure to give you an excellent India travel journey with a memory so that when you want to visit the next Indian destination, the first name that will touch your lips is – Colourful India Holiday. India is one of the most favourite travelling countries because of its scenic beauty, centuries old culture, rich heritage, thrilling wildlife, delicious food, adventurous destinations, felicitous fairs & festivals, calm beaches, snow-capped hills, marvellous villages, pious pilgrimage sites. With such a wide range of options, travellers always found confused- where to travel during your next trip to India? To keep your decisions simpler, we have short listed some of the hot India Tour itineraries! Delhi - Agra - Fatehpur Sikri - Abhaneri (Stepwell) - Jaipur - Delhi. Delhi / Agra / Fatehpur Sikri / Jaipur / Pushkar / Jodhpur / Jaisalmer / Mandawa . Delhi – Mandawa – Jaipur – Agra – Orcha – Khajuraho – Varanasi. Srinagar - Gulmarg - Pahalgam - Sonmarg - Leh . With a variety of travelling themes, India is one such country that has so much to offer for every traveller that no one can explore India at it’s best without perfect India tour itineraries. Select from an array of Indian Holiday packages to make your next India trip exotic, and bring memories for the life with the best Indian tour operator’s handpicked India travel packages. and grow your lust of travelling India again and again. Temples, palaces, sand dunes and fort are the main beauty of the state Rajasthan. Have a tour of this colourful culture and tradition along with the ancient desert Thar. Nepal gives you a chance to your eyes to explore the different types of tribes, customs and traditions and their colourful dresses. If you love architecture and museums then the southern region of our country, India is the best place for you to drop in on. 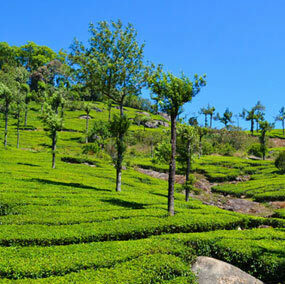 Give your eyes to explore hill points and tea forest. Other than these, also get an experience of lot of animal sanctuary. Why Choose Colourful Indian Holidays for your Next India Tour? India is a South Asian nation rich in history and culture, a diverse landscape with a wide variety of flora and fauna and an extensive terrain, which includes the snow-sky sky scrapping peaks to the Himalaya to its vast coastline along the Arabian Sea, Bay of Bengal and the Indian Ocean. India has one of the oldest civilisations in the world, has a rich history and a diverse culture. 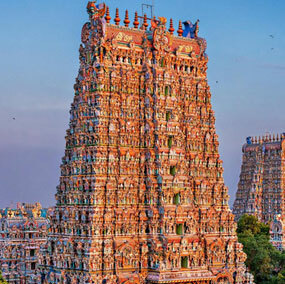 India is very popular with tourists with each state in India having its own unique culture, landscape, rich history and India has something to offer to every kind of traveller, with its history and architecture, natural wonders, spirituality, adventure tourism, beaches along with long coastline and much more. Colourful Indian Holidays is one of the top rated and trusted India travel company for India tours. Why Choose India For Your Next Holiday Destination? India is famous for its rich history and architecture and has historical monuments all over the country. With each monument having its significance, history and a story to tell, many monuments such as the Taj Mahal, Red Fort, Qutub Minar, Sheesh Mahal, Jantar Mantar and various palaces and monuments of various dynasties which ruled over different parts of India over History. 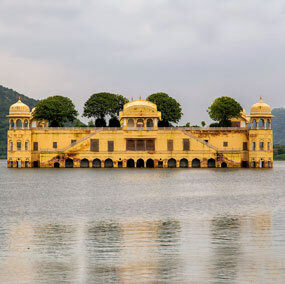 Our Golden Triangle Tour, Rajasthan tour packages etc. are the perfect fit for travellers who wish to explore India’s rich culture, history and architecture. 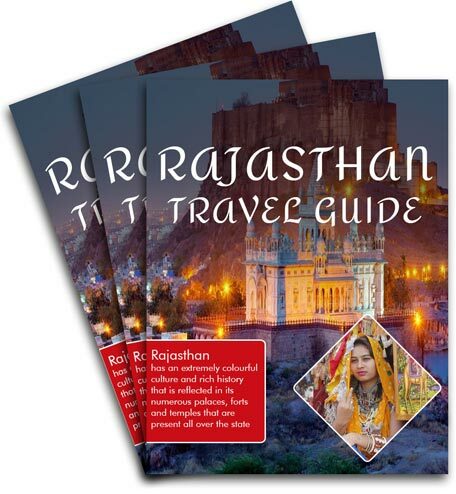 Explore our Rajasthan Travel Guide to see the historic state in a royal way. India is blessed with immense natural beauty and a diverse terrain, from the mountains of Himalaya in the North and East, its long shoreline along the Bay of Bengal, Arabian Sea and the Indian Ocean, its backwaters of Kerela, beaches of Goa, deserts of Rajasthan and a various forest and national parks all over the country. Our Hill Station Tour packages, Kerala tour packages, Kashmir Tour Packages, Goa Tour package etc. are the best option for travellers wishing to experience the abundant natural beauty of India. India is the birthplace of many religions like Hinduism, Jainism, Sikhism and Buddhism and has a vibrant and diverse culture wherein every religion live in harmony. India is the home of some of the most important religious sites in the world, such as the temples of Varanasi, Konark, Vrindavan, the Jama Masjid which is the largest mosque in India, the Golden Temple in Amritsar which is considered as one of the most sacred places of worship by the Sikhs. It was in Bodh Gaya where Gautam Buddha attained enlightenment. Travellers can opt for our various pilgrimage tour packages, Diwali & Holi tour packages and explore and experience the rich diversity of the Indian culture. India has a rich flora and fauna and is home to many majestic creatures such as the Royal Bengal Tiger, the Asiatic Elephant, Asian Lion, the India rhinoceros, leopards, peacocks, and a wide variety of deer, monkeys, bears, birds and aquatic animals. India has several national parks spread all across the country and some of the most famous national parks which attract millions of visitors. These include the Jim Corbett National Park in Uttarakhand and Ranthambore National Park in Rajasthan, the Kaziranga National Park in Assam, Kanha Tiger Reserve and Bandhavgarh National Park in Madhya Pradesh, Gir Forest Nation Park in Gujarat, the Sunderbans National Park in West Bengal, Hemis National Park in Ladakh etc. and many more national parks, forest and animal reserves spread all across the countries. Travellers and wildlife enthusiast can select from many of our wildlife tours and explore, witness and experience the diverse natural beauty, flora, fauna and wildlife of India. India is a land of many cultures and religions, which means India celebrates many festivals and the festive season is one of the best times to visit India. Festivals like Diwali, Holi, Ganesh Chaturthi, Eid, Baisakhi, Pongal, Onam, Christmas etc. are some of the most celebrated festivals in India. Nothing compares to the experience of celebrating Diwali in Jaipur or Varanasi, Holi in Haridwar, Vrindavan Barsana and Nandgaon, Eid in Delhi and Hyderabad, Pongal in Tamil Nadu, Onam in Kerala, Christmas in Goa, Durga Puja in Kolkata etc. Every state in India has its own unique way of celebrating every festival celebrated in India. Travellers can experience the rich cultural diversity and enjoy various Indian festivals with our Diwali Tour Packages, Holi Tour Packages, Pongal Tour Packages, Onam Tour Packages and many. We literally live by the phrase “Atiti Deva Bhava” which literally translates to Guests are equal to God. Following this philosophy, Colourful Indian Holidays ensure that we meet and surpass all the expectations of our guest with our personalised and customised India holiday tours. We as being the top India tour operator can assure our guest that our various India tour packages, rates and hospitality cannot be matched by our competitor tour operators in India. Satisfy your lust of traveling the Royal state with Colourful Indian Holiday’s Rajasthan Travel Guide. and news from Colourful Indian Holidays. UG - 2E -Crown Plaza, Amrapali Circle, Vaishali Nagar. Jaipur-302021, Rajasthan - India.